When it comes to the best way to brush your hair, there is actually no one single answer that works for everybody. Everybody has got their own style, hair texture, preference, and features. But a lot of people are after that lively and stylish wavy hair, and this is where the best wave brush comes in handy. Brushing is the number one factor affecting the quality of your waves. The better your brush is, the faster your waves will come in. The 360 waves style is not complicated, but you need the right tools to achieve it and maintain it. 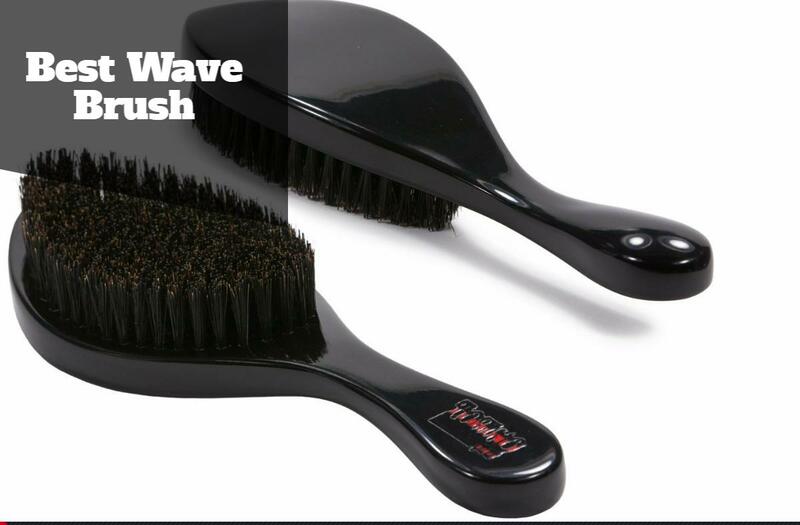 What to consider when you are shopping for the best wave brush? How to get waves with straight hair? What is Wolfing your Hair? How can I Have Deeper Waves? How to Clean Hair Brushes with Baking Soda? How Often Should You Wash 360 Waves Hair? As a matter of fact, wave brushes come in various shapes and styles. You can choose the one that you feel most comfortable with to keep your hair looking great. The round brush: This will work best to keep your waves looking smooth. It is the best wave brush for dealing with medium to long hair that you want to keep looking neat while maintaining the look of your waves. Round brushes tend to be smaller in size, and you can easily carry them whenever you want to keep your strands in check. The paddle brush: This tends to be larger in size. This brush is great for keeping your waves frizz free. Paddle brushes are quite versatile as they are wide and flat in design. The vented brush: Vented brushes will let the air pass through, speeding up the air drying process of your hair. They work best for shorter hair and will help you create nice long lasting waves. Double sided brushes: These brushes come in different combinations to cater for all your needs. It is like having 2 brushes in 1. They are perfect if you are on the go, as you can switch between bristles without having to carry an extra brush. Using the right technique, you make your hair look like it has oceanic waves all over. Both men and women like this style, and it works regardless of the natural texture of the hair. But in order to pull it off, you need to make sure that you are using the best wave brush. Not all types of bristles will work well with your waves. You need to find a brush that will have medium to firm bristles to keep your waves looking neat. Very soft bristles might cause your waves to go all frizzy and uncontrollable. And if the bristles are too firm, they might scratch your scalp. Unless you want to spend a lot of money to replace your brushes, then you are better off choosing a durable product. A very cheap brush might be appealing, but the bristles will start to come off pretty soon. Make sure that you do a little research before you decide to buy the best wave brush that should last for long. Always choose a brush that you can hold comfortably. Brushes will come in different shapes and sizes, and there is no need to choose one that will be a pain to use. If your brush is contoured, it will work better to brush your hair from all angles. This is among the best brushes for waves as it is made from 100% natural materials that will help keep your hair looking great every single day. This is not only the best wave brush, but it also works very well.For straightening, detangling and setting your hair. It is a versatile brush that will work with any hair type, wet or dry and this makes it one of the most favored brushes by men and women. This brush features natural boar bristles that promote the growth of healthy hair. These natural bristles help create shiny and healthy locks while preventing splitting and breakage of your hair no matter how weak or fine it is. It is a great brush to work on frizzy or unmanageable hair. The bristles feature nylon pins at the top that help protect the scalp against excessive scratching. The pins will help stimulate your scalp and increase the blood flow while the boar hair will distribute the oil along your hair shaft to make it more flexible and manageable. It is one of the best brushes that will work to keep oily hair looking great without having to wash it often. It can even be used for children as a good detangler that won’t cut the hair or hurt the scalp. As a bonus, this great brush is eco-friendly as it is made from 100% natural bamboo. Bamboo is one of the fastest growing plants on earth. With higher yield than timber, bamboo is safely harvested with zero impact on the environment. An eco-friendly 100% natural bamboo paddle brush. Boar hair with plastic pins to protect the scalp. Works for all types and textures of hair. It even works on wigs. Can be used on wet or dry hair. It is even used as a detangler. Promotes hair health by distributing the oils evenly without breaking or damaging the hair. It is not the perfect brush to use on the go, unless you have a very big purse. This is one the of the best wave brushes for 360 waves due to its extra-long soft and medium bristles. This curved brush is made from 100% natural Brazilian bamboo, making it a great eco-friendly option. Bamboo grows faster than timber, and this means that every time it is used, there is little impact on the environment. At the same time, it is quite durable, and this means that your brush will last for long. This brush features soft to medium boar bristles that will work greatly on your hair. This is the best wave brush for all your brushing sessions. You can use it to create, 360, 540 and even 720 waves easily as it doesn’t need to be used for long to manage your hair. The soft bristles will smoothly glide along your hair for the best looking waves without damaging your hair or scratching your scalp. In well-trained hands, you can create any style you want without having to spend so much time brushing your hair. You will easily get the deepen wave pattern with the least amount of effort. It is a lightweight brush and can be used for longer brushing sessions without straining your hands. The curved design makes it super easy to carry and create the perfect waves on your head. Lightweight high-quality Brazilian bamboo brush. Soft to medium boar hair bristles. The best brush to create 360, 540 and 720 waves. Get the perfect look with the least amount of effort. The bristles tend to fall out fast. Finding best hair brush for waves is not easy, but this one is definitely a winner. With its compact design and high-quality materials, you can be sure that you are going to achieve the best waves style in just a few minutes. This is the perfect brush for deep and defined waves without having to spend too much time brushing and styling your hair. Moreover, it is lightweight and compact so that it doesn’t strain your arms as you perfect your hair style. This wave brush features extra-long mixed boar bristles to give you the best of both worlds. The bristles are just stiff enough to promote your blood circulation and distribute the oils along your hair shaft without scratching your scalp or breaking your hair. The brush features 11 rows of medium hard boar bristles to get the hair style you want in a few minutes. It is by far the brush you need to get the best results with far less brushing. Because the brush is curved, it will be able to cater for your scalp contour. It gives you unique control over the style you will create without having to deal with a handle. The brush features an elegant Onyx Black finish that will make it look beautiful for years to come. A compact curved high-quality brush. Long medium to hard 100% boar bristles. Improves the health of your hair by promoting the blood circulation. You can get the best hair style in a few minutes. Compact size for more control. An elegant Onyx Black finish. Although this is a compact size that is perfect for travelling, it doesn’t come with a bag. Quality should be the number one concern when you are shopping for the best hair brush for waves. This high-quality padded brush is the best to buy if you want to keep your waves looking elegant. It is good for all hair types but works perfectly for coarse or thick hair that is rather difficult to handle. The brush features 100% natural boar hair that is stiff enough to improve the blood circulation in your scalp without damaging your hair. This brush is great for exfoliation and will help remove any undesirable buildup, keeping your hair clean for longer. This means that you will not have to shampoo as often which usually results in stripping your hair off its natural oils. It also helps redistribute the oil on your hair, making your hair well lubricated so that it doesn’t split or break easily. This is a wave brush that ranks among the best and helps keep your hair looking great as it minimizes frizz and breakage. It will add volume and shine to your hair while enhancing the blood circulation to minimize hair loss. The ergonomic design will perfectly fit in your hand for better control. This is a vented brush that you can use on wet hair to speed up the air drying process. Ergonomic brush that is super easy to carry. Vented brush to allow for more air flow. Natural boar bristles that are of medium stiffness. As it is more on the firmer side and this might not work well for shorter hair. Some users thought that it is bigger than what they particularly prefer in a brush. If you are looking for the best brush for waves, then you should look no more. This is the perfect little brush for men and women who want to have a high-quality brush that is 100% natural. The brush is made from high-quality beech wood with 100% premium quality boar hair. No nylon or synthetic fiber will get in tact with your scalp or hair. The bristles are of medium stiffness, the perfect stiffness you need to keep your waves looking great. It even works on men’s beards. The contoured curved design is the best to fit in your hands and cater for your scalp shape. This will make brushing time so much easier regardless of the natural texture of your hair. The results are great every single time. The boar hair will work to perfectly condition your hair and keep it healthy as it redistributes the natural oils. Moreover, this level of firmness is the perfect level to give your scalp or your beard the perfect massage. Don’t worry about using styling products with this brush because it is very durable. It also features an elegant engraved design and comes with a little travel box for maximum convenience. Ergonomic wooden brush with 100% boar hair. Medium stiffness to keep your waves frizz free. A versatile brush for the hair or the beard. The bristles on this brush tend to fall out fast. This brush is durable and very well made, yet it is extremely gentle on the hair allowing you to create the perfect waves every single time. The bristles are made of boar hair and are extra reinforced to last for long. These natural bristles will not damage the hair shaft, keeping your hair healthy. Moreover, they are very gentle on the scalp no matter how long you use the brush. The boar bristles will massage your scalp, thus improving the health of your hair. Regularly using this brush will minimize hair fall and splitting. The brush will stimulate the blood circulation, remove excess oil and dirt to keep your hair shiny. This wave brush is the best solution for the annoying scalp flakes that can damage your elegant look. The ergonomic design of this brush will allow you to hold it comfortably. You will be able to style your hair the way you like without straining your hands. It is very comfortable to carry around thanks to its compact design. It can also be the perfect beard brush. It even works on wigs for a unique hairstyle every day. Durable boar bristles to style your hair. Massages the scalp thus improving the health of the hair follicles. Minimizes hair fall and keeps your hair shiny and healthy. Removes excess oil, dirt, and flakes. Ergonomic design that you can comfortably carry in your hand. Some users feel that the bristles are rather too stiff. This budget-friendly brush is the best to create stylish waves while protecting your hair strands. It smooths your hairstyle while maintaining the elegant waves that don’t take much to create. Thanks to the medium and firm bristles, your scalp will be adequately stimulated to improve the blood flow and health of every single hair follicle. It is made of nylon and natural boar bristles to brush your hair or beard. This brush is specifically designed for medium coarse to coarse hair. This is a 2-sided brush to suit different preferences. You get to choose the side that works best for your hair to maintain a stylish and elegant look. Coarse hair is difficult to manage and requires special treatment and attention to maintain its style. It also works for most hair lengths. The design of the bristles will remove excess oil and dirt that might cause your hair to lose its shine and luster. This is a durable hairbrush that won’t break. It is very well made with advanced implantation technology that will minimize bristles loss. The combination of nylon and natural boar bristles cater for various need. The brush is also very gentle on sensitive scalps which makes it the best daily wave brush. It will remove the daily natural and product-related buildup that might make your hair look dull. But it will not cause hair-splitting or damage as you create the perfect waves. The brush also features a protective UV coating that will protect it against wear. Smart double sided boar bristles brush. Medium and firm bristles to create the perfect waves. Doesn’t irritate the sensitive scalp. Improves the blood circulation to keep your hair healthy and shiny. Removes excess oil, product build-up and doesn’t cause hair-splitting. Advanced implantation technology to minimize bristles loss. Washing this brush with water can crack the base. Some users don’t like that the brush contains some synthetic nylon bristles. If you are looking for the most compact and best hair brush for waves, then this is the one to pick. Thanks to the ergonomic design, you will be able to fit it in your hand comfortably to style your hair the way you like. It is also travel-friendly as it doesn’t occupy much space. The easy palm grip makes it exceptionally useful to style very shortcuts and to create elegant and stylish waves. This brush is made of 100% natural boar bristles that will not harm your scalp or hair strands. Natural bristles are gentle on the hair thus minimizing split ends. The brush redistributes the natural oils in your scalp to protect your hair and your scalp. It also removes the excess oil, dirt, and products to maintain your hair’s health and cleanliness. This brush is specifically designed to reinforce and emphasize waves. Unlike other brushes, it won’t mess up with your hairstyle even if your hair is difficult to handle. It even works perfectly to style your beard. This is a great value for the money since it doesn’t cost much but would still last for long. Works on extremely short hair and beards to maintain the health of the hair strands, in fact many barber shops like the Nashville’s Best barber shop use it. Redistributes the natural oils while removing the excess build-up to keep your hair shiny. Stimulates the blood flow to your scalp. Can be too firm for some users. Some users didn’t like that this brush has no handle. This is a natural boar bristles brush that doesn’t harm your sensitive scalp. Unlike other brushes, this brush is extremely soft and comfortable to use. It is a great brush that you can use to create elegant and stylish waves that will last all day long. The handle is made of wood that and is very comfortable to carry. It also makes the brush incredibly easy to control. Users who have fine or thinning hair are usually unable to handle a stiff brush that might cause more hair fall. However, this amazing boar bristles brush is extremely soft and convenient to use as it doesn’t irritate the scalp. You can even use it for styling your beard or mustache since it is very gentle so it won’t scratch your complexion. If you are into dry brushing, then this is a great brush to use. It removes the dead skin cells without scratching or harming your skin. The comfortable ergonomic design and the convenient handle will allow you to hold it comfortably. It might not be the best brush to detangle your hair especially if it is very coarse. But it works perfectly if you have thin or damaged hair. It efficiently redistributes the natural oils to maintain the sheen of your hair. It also promotes hair growth by improving the blood circulation. This is an excellent brush that will not damage your hair, your scalp or skin. Made of 100% natural boar bristles. A comfortable handle that you can easily carry. Works to style your hair, your beard and for dry brushing. Soft bristles that don’t damage fine or thinning hair. Promotes hair growth by gently massaging the scalp. Doesn’t work on very tangled or coarse hair. If your hair is too thick, some bristles might start to fall off. Coarse hair needs special treatment and attention. If you have naturally thick or coarse hair then you need to pick a special and high-quality brush to keep it in shape. This brush is made of 100% natural boar bristles that won’t fall out as you style your thick hair. The bristles are rather stiff but will not damage your scalp as you style your hair. This is the best wave brush for difficult to handle hair. The brush is compact and features a natural wooden handle that is very comfortable to carry. It will allow you to style low to medium cuts because it features an ergonomic design. The bristles are thick enough to remove product build-up and excess oil that might damage your hair’s look. It also works very well to remove dandruff and flakes that can jeopardize your look while creating the perfect waves every single time. The bristles will stimulate your scalp and improve the blood circulation to keep your hair healthy. This means that your hair will look healthier and will grow faster. The compact size of this brush makes it perfect for styling your beard, too. It is a budget-friendly brush that will last for long. 100% boar bristles with natural wooden handle. Stimulates the hair growth by massaging the scalp and improving the blood circulation. Stiff bristles that work for coarse and thick hair. Redistributes the natural oils to keep your hair shiny. Can be too stiff if your scalp is sensitive. The long handle is nice to hold but might not be very convenient to fit in your compact travel bag. Straight hair is a bit difficult to style if you wish to have 360 waves. First, you need to make sure that your hair is long. Then your hairdresser or a friend can use a hair trimmer to cut the waves. They can start from the crown of the head then move to the front. Cutting the hair in circles adds texture and the illusion of having waves all around the head. You should use a short-bristle waves brush to make sure that your hair is laid the way it should. Wear something to lay your hair down and prevent the appearance of spikes. You should also protect it while sleeping. Wolfing is when you let your hair grow for 8 to 10 weeks to enhance the look of natural waves. It is important to brush your hair to help your waves set. When you are wolfing, you will have to wash your hair more often. Don’t use heavy styling products like pomades because they are very difficult to wash off. Go for a harder brush. The hard brush will help you have more definite and deeper waves. If you feel like you are losing your waves, then it is time to get a haircut. Your waves are hidden under the hair. Cleaning your brushes is crucial for keeping your hair clean and healthy. Hair oils tend to accumulate on your brush bristles creating a suitable environment for the growth of bacteria and microorganisms. Make sure that you have removed all the hair strands to clean your brush. This should be done every time you use it. But every week or so, you should consider deep cleansing your hair brushes. Prepare a solution made of water and baking soda. Submerge your brush in the mixture for 30 minutes. Remove your brush, wash it in warm water and let it dry. Your brush is now clean and safe to use. Washing your waves is not a complicated task. All you have to do is to make sure that you are using the right products and technique. You should rinse and style your hair every morning to maintain the look but you can shampoo it every 3rd day to make sure that the scalp is clean and free of all products build up and natural oils. There are special shampoos that can help you maintain your waves. In order to keep your hairstyle, you should use your fingers to comb your hair in the style of the waves as you clean it. How to Remove Airbrush Makeup? 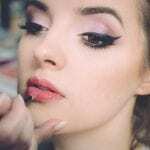 How Much Do Makeup Artists Charge For Wedding? How to Clean Your Airbrush Gun? How to Apply Foundation Evenly? What is the Best Airbrush Makeup System? How to Make Your Own Airbrush Makeup?